1. In small bowl, combine nuts, oats and dried fruit. 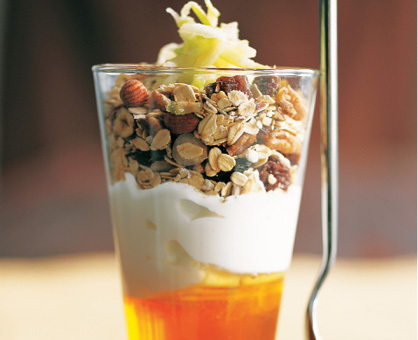 Into each of 4 parfait glasses, layer 2 tablespoons honey, 1/4 of the yogurt and 1/4 of the oat mixture. Top each parfait with 1 tablespoon shredded apple.